Using eco-friendly cleaners around your home can be as good for the environment as it is for your home. While the harsh chemicals commonly found in many popular cleaning products may be effective at removing stains and dirt, they have the potential to damage home and cause health problems for you and your family. If you’re trying to make your home healthier, you may want to consider switching to more eco-friendly cleaners. Many common household items can be used as environmentally friendly cleaners: baking soda, vinegar, and lemon juice, for example. But if you prefer more convenient methods, commercially produced plant-based cleaners are available with fewer harmful chemicals than traditional cleaners. 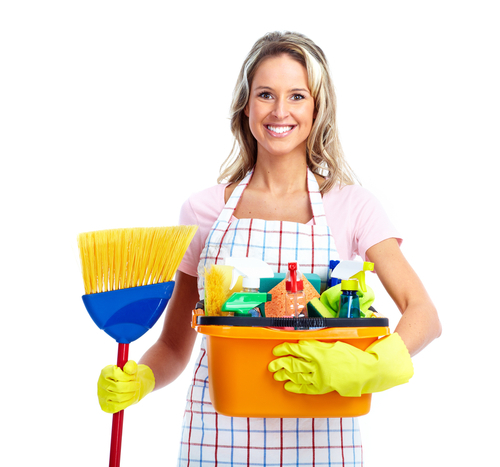 There are packaged eco-friendly cleaning products for nearly every type of household cleaning, including the laundry. Plant-based stain removers are designed to be gentle on fabrics while still being tough on stains. Specially formulated with powerful ingredients to penetrate fabrics, plant-based stain removers can break up and remove even the toughest stains, like traditional cleaners, but without the need for harsh chemicals. Look for eco-friendly cleaning products designed to work well in all temperatures, especially if you plan to use when washing in cold water. Products that are safe to use on both colorfast washables and whites are preferable, and as with traditional cleaners, it is always important to follow the directions on the package before use. By using eco-friendly cleaners, fewer harsh chemicals ultimately end up in the environment, and that’s good for all of us. Many concentrated eco-friendly products can be cost effective as well since you may be able to use less than you would with other cleaners. Join the Vollara community today.